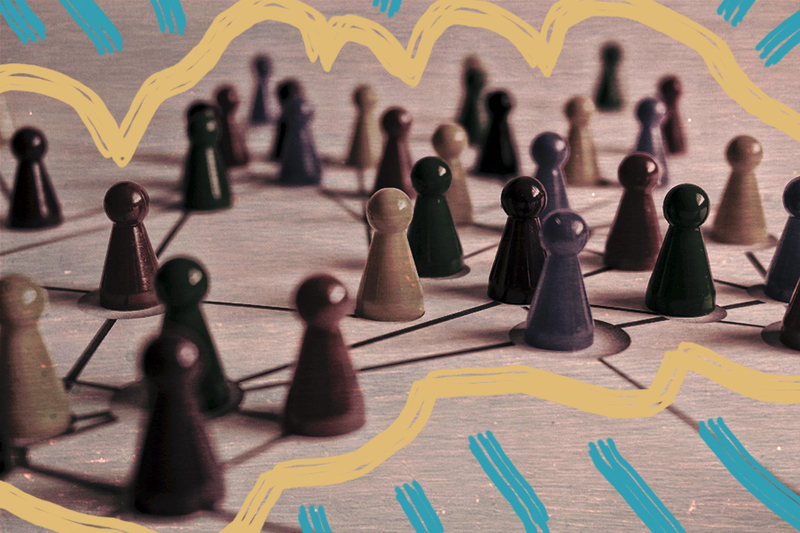 Ditch the awkward self-promotion and help delegates connect with these 5 conference networking ideas. Unless you’re a natural extrovert, the idea of networking at a conference can be uninspiring at best (and stomach-churning at its worst). Yet the serendipitous connections delegates make with each other are one of the biggest intangible benefits of attending a research event. While the quality of your speakers and your programme are undeniably important, how well you facilitate conversations between people will play a major part in your conference’s success – or failure. How do you help delegates find people who have the answers they need? How do you help them create connections that go far deeper than shallow introductions? Do networking well and your conference will become a vital annual meeting place for a strong community of researchers. Do it poorly and you might leave delegates wondering why they bothered to register in the first place. Most of us aren’t natural networkers. Place us in a roomful of strangers and we struggle to connect. So your conference networking ideas need to reach beyond a few uninspired slots set aside for wine, cheese and frantic self-promotion. Instead, aim to weave opportunities for making genuine deep connections into the fabric of your event. Use these 5 networking ideas to foster serendipity and help people find their tribe at your conference. People who are coming to your conference for the first time may not know a soul. Instead of beginning their experience at the registration desk, ease them into things by holding pre-conference events especially for folks like them. That way they can network with other attendees in the same boat and start conference day one with plenty of friendly faces in the crowd. To help your newbies get beyond the introductory phase, aim for less formal settings and give the structure some thought. If most of your first-timers are early-career researchers, could you hold a presentation skills workshop? If they’re all from different career stages, is there a common need that unites them? Find what it is and tap into it to help your newbies connect. Create themed breakout sessions around burning research issues your delegates are facing, or for particular factions within your attendee base, like department heads or postdocs. Events like these won’t just give people the chance to network at your conference, they’ll be able to share their interests and struggles and (crucially) to meet potential research collaborators. Breakout sessions can be a good way to fire up delegates after hours of sitting and listening to presentations. And if you can, get people sharing ideas and collaborating with as many different groups in the room so they can. In the run-up to your conference, use your mobile conference app to give delegates the chance to establish connections before your conference begins. Delegates may need some encouragement to start talking, so spend a bit of time thinking about their needs and create public posts to kickstart the conversation. This could be anything from asking people to post the biggest research obstacle they’re facing, to putting out a call for people who live near the venue to volunteer to host student attendees in their homes. As Bill Glod, program officer of philosophy at Virginia’s George Mason University, puts it, “Even introverts don’t mind emails.” And little touches like these not only boost conference networking opportunities, they also make your conference community more welcoming. For some people, networking at a conference isn’t just an uncomfortable concept, it’s downright scary. Anyone with an anxiety disorder, or who finds it difficult to talk to strangers, may need some extra help to get beyond basic introductions. Use a conference buddy system to pair first-time delegates with people who know the ropes. Conference pro Adrian Segar suggests you give buddies two simple tasks: contact their newbie before the event to say hello and answer any questions; and offer to meet their first-timer at the start of the conference to show them around. That’s it. Try creating buddies amongst delegates who share submission topics so they will have similar interests. If you’ve ever tried to juggle a plate of food, a drink and the fast-fading memory of someone’s name, you’ll realise how important badges can be when it comes to conference networking. Having decent name badges to ease the awkwardness is a bit of an obvious one, but you’d be surprised how many conferences get this wrong. Buck the trend and make sure your badges are designed to actually help people strike up conversations. Think: big, easy-to-read type for first names, no awkward positioning over delegates’ chests, badges that never flip, and conversation starters included as standard. Don’t simply create networking opportunities; create opportunities for delegates to get answers, be bolstered by others, share laughs, and come away with friends – not contacts. Help them find their tribe.